Nginx is an open source HTTP and reverse proxy server, as well as a mail proxy server, load balancer, and HTTP cache. The nginx project started with a strong focus on high concurrency, high performance and low memory usage. It runs on Linux, BSD variants, Mac OS X, Solaris, AIX, HP-UX, as well as on other *nix flavors. It also has a proof of concept port for Microsoft Windows. According to Netcraft nginx served or proxied 17.65% busiest sites in March 2014. 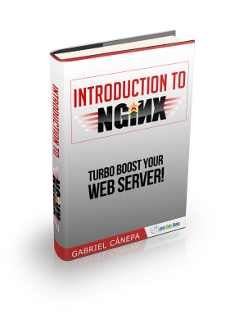 This ebook will introduce you to the magic of nginx. You will learn to install and configure nginx for a variety of software platforms and how to integrate it with Apache. Comments Off on Introduction to Nginx Views Tweet it!